Celebrity Cosmetic Surgery: Does the Zerona Fat Removal Laser Really Work? In my experience, the majority of patients who have Zerona treatments achieve inch loss. The studies appear to show an average of 3-4 inches after 2 weeks of 40 minute treatments every-other-day. This is consistent with what I've seen in my office when measuring four areas: hips, waist, and each thigh. So yes, it does work when the protocol is followed. It is the only machine that I know of that can do this. That being said, there are people who do not get 3-4 inches of loss. For this reason I've instituted a policy where the patient receives a $1000 credit towards the procedure of their choice if they do not achieve at least 3 inches of total loss from the four areas. Why not refund the whole fee? The company that makes the machine leases it on a "per use" basis. That means that every time I use the machine I pay them a fee which I cannot get refunded. 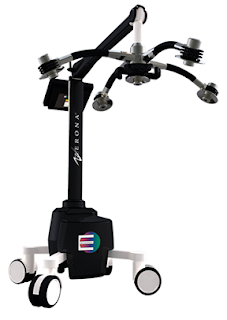 So overall, the Zerona appears to be a safe, effective way to reduce inches without pain or downtime. It's not a valid substitute for liposuction, though, since the results are not nearly as dramatic as surgery. As time goes on, I expect that we'll find ways to improve the technology and protocols to get even more impressive results. Until then, it's not a bad deal at all!